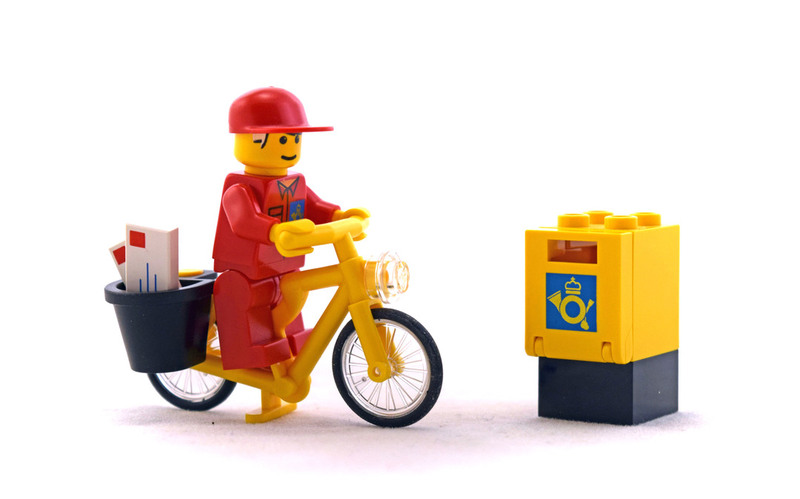 Mail Carrier (LEGO 6420) contains a postman minifigure on a bike and a mailbox. The mailman wears a red uniform and the mailbox and bike are both yellow. Set comes with 1 minifigure and 11 pieces.